Will Our TV News Habits Continue To Change In July? WLWT-TV in second place for news at 11 p.m.? WCPO-TV tied with longtime news leader WKRC-TV at 6 p.m.? Will these May household rating trends continue in July sweeps starting today? Sure, the four week July Nielsen ratings (today through July 29) are the least important of the sweeps months. But TV managers and advertisers will be watching closely to see if our viewing habits continue the shift revealed in May. WKRC-TV (Channel 12) won all weekday newscasts again in May – but just barely at 6 p.m, the target of Channel 9’s promotions. “Technically, WKRC won by 0.01, which really is a tie,” says Jeff Brogan, Channel 9 vice president and general manager. With Channel 12 news director Kirk Varner leaving Friday, will the next news director tinker with success and lose some loyal viewers? The quiet success story of May sweeps was WLWT-TV. After years in third place, Channel 5 beat Channel 9 for second at 11 p.m. and at 5 p.m. Keep your eye on 5. Channel 9 enters July with its third late news anchor team in 11 months: Carol Williams & Clyde Gray; Carol & Tanya O’Rourke; Carol & Craig McKee. At 6-7 a.m. in May, Channel 12 was first by a bunch (5.8 rating), followed by WCPO (3.4), WLWT (3.1) and WXIX (2.3). But at 7-9 a.m., against the networks, WXIX’s local news (4.2) tied NBC’s “Today” show. At 9 a.m., WXIX tied for first with “Kelly & Michael” and “Today” (3.3). One more note about May: David Letterman’s final weeks had more viewers (4.3 rating) here than Jimmy Fallon (2.6) and Jimmy Kimmel (1.6) combined. We’ll see what happens in July. 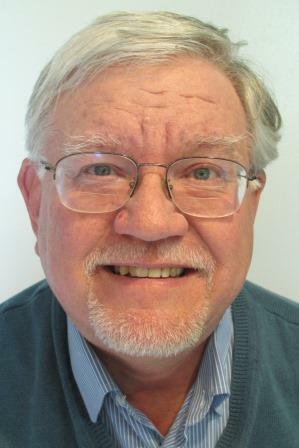 For more than 30 years, John Kiesewetter was THE source for information about the local media, keeping audiences informed about the people and projects involved in the entertainment industry through his column and blog for The Cincinnati Enquirer.